The Wisconsin 4-H Foundation will award more than $10,000 in scholarships to outstanding Wisconsin students pursuing higher education in 2017. To be considered for financial support, applications must be received by the Wisconsin 4-H Foundation via email by March 15, 2017. 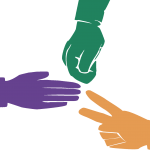 Wisconsin 4-H Foundation scholarships are awarded to students based on demonstrated personal growth, development and leadership, academic performance and future educational goals. To be eligible for Wisconsin 4-H Foundation scholarships, students must have been a Wisconsin 4-H member for at least one year; have a grade point average of at least 2.5 on a 4.0 scale, and be enrolled or planning to enroll at a university, college or technical school during the 2017-2018 academic school year. All applications must adhere to the strict conventions outlined below. Any application that does not meet these requirements (including all document names) will not be considered. All documents must be attachments to the email; Google docs or any similar cloud/internet shared documents will be NOT be accepted. Cover letters should include information relevant to the application, including how 4-H made an impact and how skills learned in 4-H will be used in the future. The strongest cover letters expand on information on the resume; they don’t repeat the same information. Cover letters must be either a Word Document or a PDF and must be named Applicant Last Name Cover Letter (example: Smith Cover Letter) and attached to the email. The project list should be in order of importance to the 4-Her, with the most important projects at the top of the list. This does not need to be a complete list of every project ever taken by the 4-Her. Résumés and cover letters with extreme quantities of text will be disqualified – documents with the most words will not receive preference! Résumés, cover letters, project lists (a total of three pages) and one photo must be received by the Wisconsin 4-H Foundation via email on or before March 15, 2017. Applications received after March 15, 2017, and any USPS mailed applications will not be considered. Apply early to avoid any confusion. A panel of experienced youth advisors will screen the applications and select finalists. Applications chosen as finalists will be screened by a second panel comprised of 4-H and youth development experts. The finalist applications will be ranked. The 4-H Foundation will assign available scholarships to the top-ranking applications based on scholarship criteria (example: scholarships are available for specific geographical areas and project areas). Applicants who are awarded scholarships will be notified by postal letter and/or email in May. This letter will include information about how to access the scholarship. Scholarship awardees are required to send a thank-you note to the scholarship sponsor. Scholarship recipients and portions of their application materials (including their photo) may be featured in Wisconsin 4-H Foundation materials. 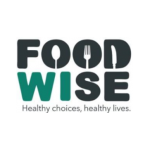 FoodWIse is new name of Wisconsin Nutrition Education Program. A successful nutrition education program is getting a new name to make it relevant and accessible to more audiences.